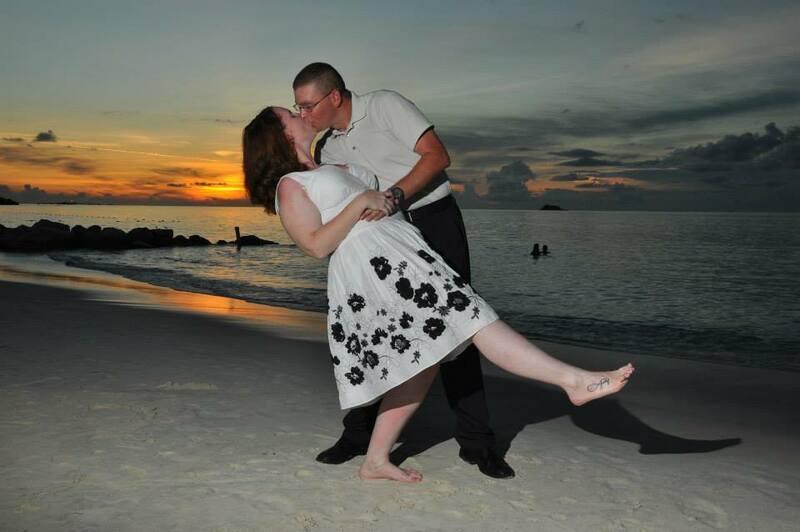 Brenda and Cory Bouldin have been married for two years. 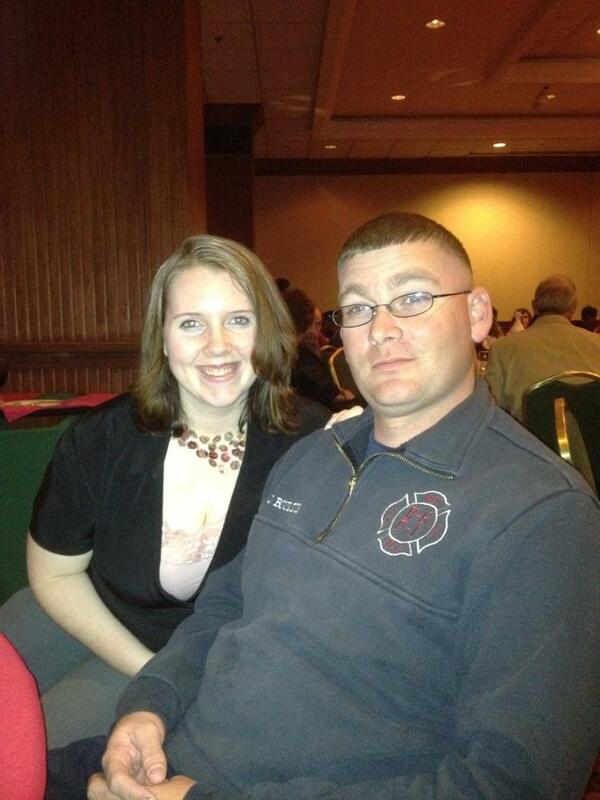 Cory is currently a contract firefighter, overseas. We were an eHarmony success story. 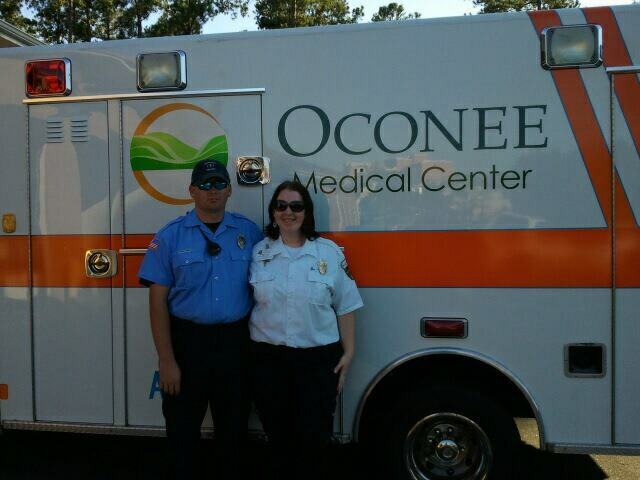 As we were talking on eHarmony, I was put on an ambulance for ride time in the same county he was a firefighter in. During my ride time, I was put at his station and was literally inches from him but never introduced myself or let him get a good look at me because that’s not what I wanted his first impression to be. The conversation just flowed naturally. It clicked for me when he came up to my job the night after our first date. I refused to kiss him on the first date and I was leaving for my grandmother’s funeral a couple of days afterwards. He wanted to make sure he got the first kiss on our “date and a half” so he came to see me on my lunch break before I left. My perception was that I had to find this person who just clicked perfectly with me. I imagined the over the top romance and the settled down family. Well, needless to say, contracting has completely switched that up for me. I’ve learned that sometimes a marriage or a family doesn’t look like what we think of growing up. We are a family, and we are married, despite the fact that we do not sleep together every night or sometimes communicate more by FaceTime than at the dinner table. Also, it’s shown me that, even though Cory and I’s personalities don’t much completely, we both have things to offer to the marriage and that’s what makes it work. We use each other’s strong points to lift the other one up where they are weak. Honestly, it was a jealousy issue. He was a bit too close to the paramedics at his job and I was a bit insecure because of previous relationships. I married a big bad tough Marine. He has always been the protector, and I the affectionate, gentler one. 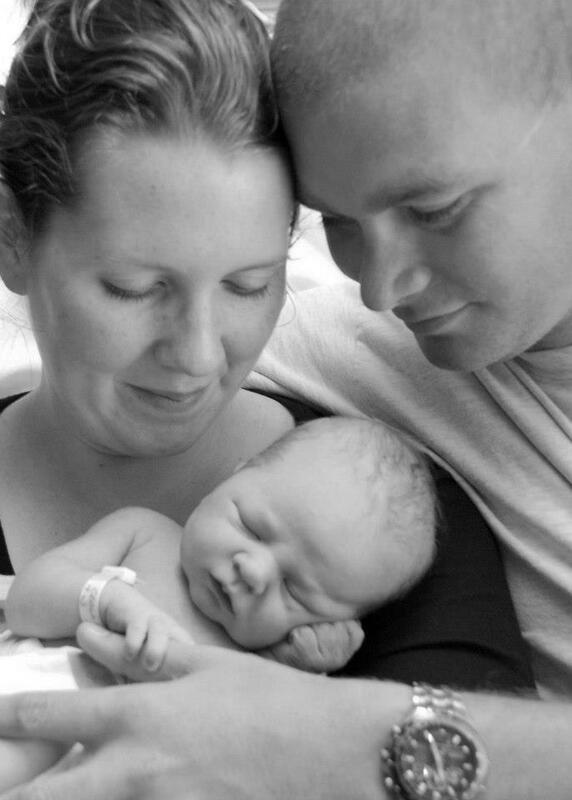 On the day our son was born, I had an urgent emergency at the end of the birth. The baby was fine, but my doctor was focused on me at this point and stopping the problem. I’ll never forget looking over, in the midst of the chaos, and seeing Cory hold our son for the first time. He was intently focused on me and making sure I was okay, but he was cuddling our little man and comforting him at the same time. That image is burned into mind and one of my favorite moments with my husband, seeing him hold that little boy for the first time. No matter what happens in your life together, remember what you were when you got married. Remember the love, remember the friendship. Never let that go. We make our one-on-one date nights and getaways. You are not just mommy, you are not just daddy. You are not just getting older, you are not just your job title. You are a husband, you are a wife. Savor that and nuture it. Take time out for you as a couple, aside from family time. The most important thing I’ve learned is to not compare it to everyone else’s. You are always going to want what someone else has, but if you keep looking at other’s marriages, you lose focus on your own. Remember that there’s probably someone else wanting what you have. 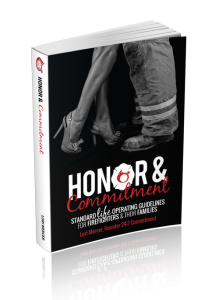 I want to inspire others by showing that you can find strength in your marriage in the challenges. Cory’s job overseas has been very difficult. There’s been many times that it would’ve been easier to just throw our hands up and walk away. From the job, from our goals, from us. 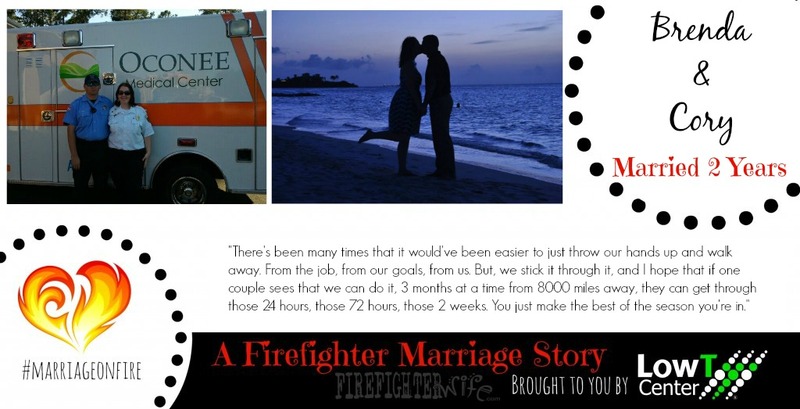 But, we stick it through it, and I hope that if one couple sees that we can do it, 3 months at a time from 8000 miles away, they can get through those 24 hours, those 72 hours, those 2 weeks. You just make the best of the season you’re in. I am a writer, so I usually write an email about the issue. I don’t send it, unless the issue needs immediate attention, but that way I can get my half of the conversation out and my thoughts together so that we can talk about it at the first available chance. If I call him while he’s at work, it just frustrates me more when he has to leave for to do anything for work. Communicate openly but listen as much as you talk. Listen to what your partner is telling you, you can find out why they feel certain ways and possibly find to the problem in what they are saying. Don’t think anything is too little to mention to your husband. It could be something that he finds out a different way, and will take very personally. My husband told two friends of our’s, in front of me, that I was the best thing to happen to him. We’ve been through a lot. There’s a lot of times I feel like a failure and that I ruined his life… so to hear that, meant the world. Especially when he said it in front of friends. 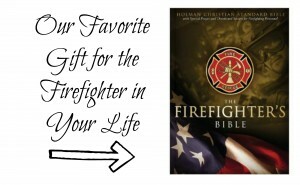 Our story actually has to do with the fire service. Cory and I hit rock bottom. I was pressuring him about the fire department. I wasn’t happy with the department he was at, didn’t feel like he was getting the pay he deserved and it was not a conductive environment for a growing healthy relationship. There were many people in the department who had negative attitudes towards relationships for their own selfish reasons. It was a 6 month valley, very trying and hard. But, I never gave up on us. Even when bad decisions were being made on both sides, I knew that Cory was the one that God meant for me to be with, and I pursued repairing us as much as I could. The thing about it was, while I was pursuing him, I was taking care of me too. I was working on being a better person, a better partner. I became more independent and established career goals to get Cory out of that department. We came through it. It wasn’t pretty, but in the end, I knew he ultimately chose me. He knew my imperfections and knew me at my ugliest through that valley, and still chose to come back to me after I pursued him. I love Brenda! She is such a strong, loving, caring person.